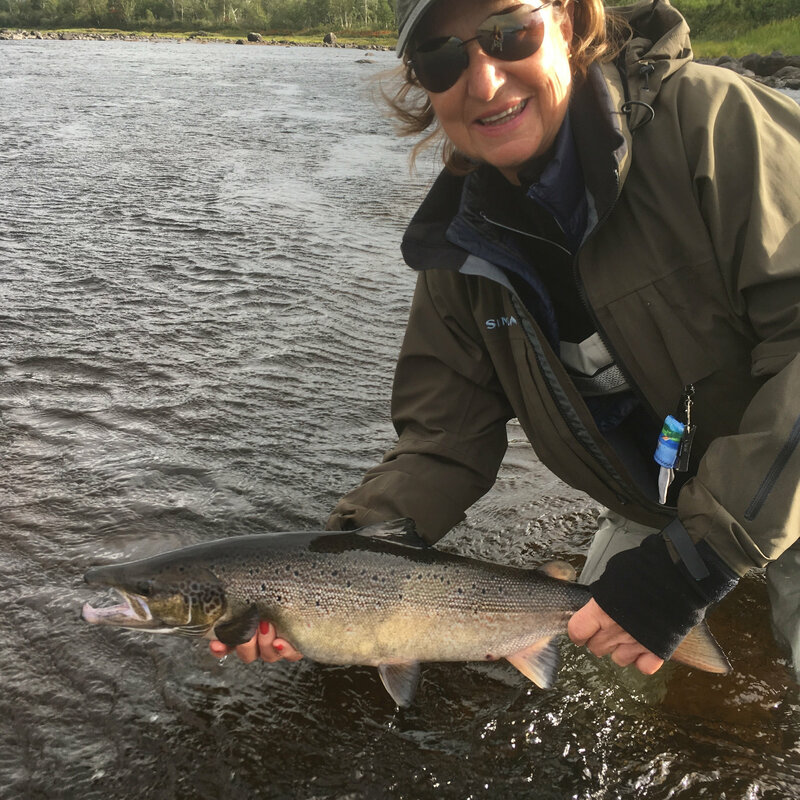 Flowing into Gander Bay on Newfoundland's northeast coast, the 37 mile long Gander River boasts returns of 25,000 Atlantic salmon each spring. The majority of this pristine wilderness is only accessible by river boat and Gander River Outfitters and Lodge is right at the heart of it. Our skilled and seasoned guides have spent many years learning the rocks and rips that are located throughout the river's many rattles and steadies. With 10 of the highest-producing pools on the river within a short boat ride from the lodge, we are certain your trip will be an unforgettable success. 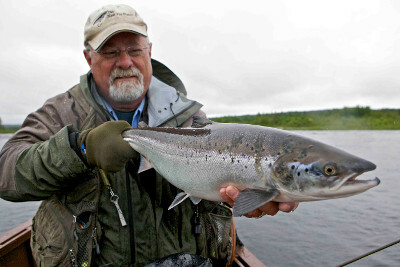 During the main salmon run, as many as 175 fish per hour have been counted right in front of the lodge. While the highest concentration of Atlantic salmon runs occurs between July and August, the Gander also receives mid-summer and fall runs of mainly larger salmon and jacks. No matter what the season, fishing on the mighty Gander is incomparable.